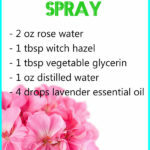 DIY Makeup Setting Spray with Alcohol - beautymunsta - free natural beauty hacks and more! 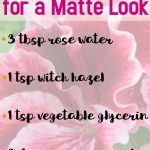 Try creating this super easy DIY makeup setting spray with alcohol for a nice matte makeup look! Confession time: I’ve never bought store-bought makeup setting spray. Say what? And it’s not because I don’t wear makeup – because I do, every single time I’m stepping out the house. But just why would I want to buy a tiny bottle for over $20 at the store yet I can just spray on my lovely rose water or this DIY makeup setting spray with alcohol?! These homemade products work so well and they’re dirt cheap, guys. You definitely do not need to cash out $20 for a makeup setting spray at the store! Why does this setting spray have alcohol? That’s because alcohol gives a more ‘mattifying’ look plus it helps that look stay on longer! 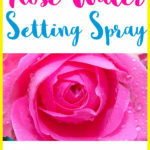 I’ve used rose water alone as a makeup setting spray before and it’s worked but not for as long as I liked, you know? 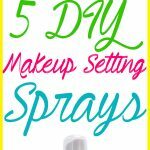 You want your makeup setting spray to last till midday at least. 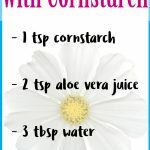 Add all your ingredients into a spray bottle with the help of a funnel. Shake well to mix everything up and what do you know?! 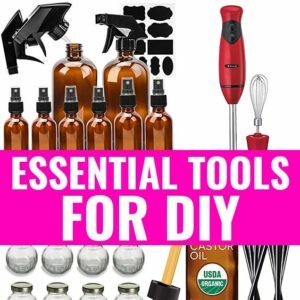 Your DIY makeup setting spray with alcohol is ready, baby! Store for a month in a cool dry place. You can pour a little into a travel-size spray bottle to keep in your purse if you need to use it during work like at midday. 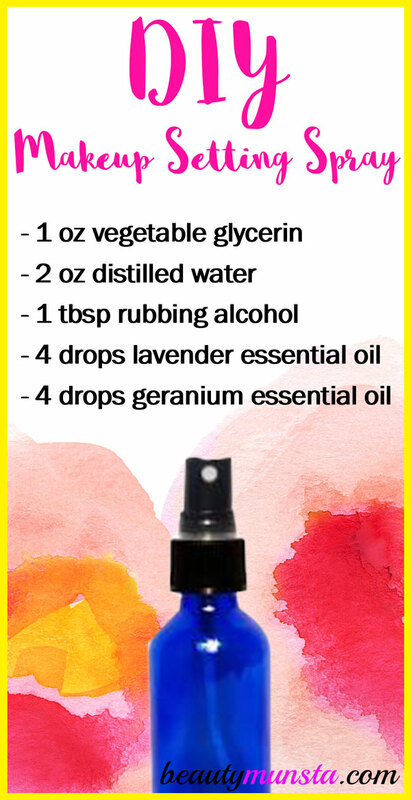 I can’t wait for you guys to try my recipe on DIY makeup setting spray with alcohol!